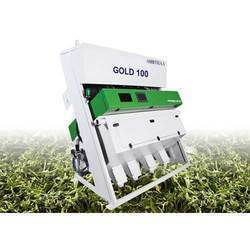 By keeping track of current market developments, we are presenting an exclusive assortment of Tea Leaf Sorting Machine. Our adroit experts manufacture this sorting machine using superior quality components and sophisticated technology. For strictly adhering to the industry norms, we test this sorting machine on varied parameters to flush out any flaw in it. Used in varied industries, clients can avail this sorting machine from us at nominal prices. DIMENSION (L X W X H) IN" 71" X 54" X 71" 71" X 54" X 71" 85" X 54" X 71" 85" X 54" X 71"
We are the most trusted name in the industry offering a wide assortment of Tea Leaf Sorting Machine. Our offered products are made with superior quality raw material for high durability and efficiency. They are recommended for the bother free execution and robust structure appropriate to carry out heavy duty performance.Tea Leaf Sorting Machine undergo various tests under rigorous condition for quality assurance at our end. Looking for Tea Leaf Sorting Machine ?